Josiah, the king of Judah, was placed on the throne by the people when he was 8- years-old. When he was16 he began to seek after the God of David and to do what was right. When he was 20 he began to purge Judah and Jerusalem of all the carved images and other idolatrous worship (II Chronicles 34:1-3). When he was 26- years-old he began to have the temple repaired; previous kings had defiled and used the temple for the worship of false Gods. While they were repairing the temple, Hilkiah the high priest, found"the book of the law of the Lord give by Moses" (II Chronicles 34:8-15). The scribe read it to Josiah. When Josiah heard the words he rent his clothes (II Chronicles 34:18-19). He was worried about the prophecies written in the book and so he sent several of his men to ask Huldah, the prophetess, what would happen to his people because because they had not kept the words that were written in the book. Her name means "weasel" in Hebrew. In Jerusalem, in the Second Temple, there is the "Gate of Huldah" which may or may not have any connection with her. The name may have meant "Cat's Gate", but some scholars think the gate might have been associated with Huldah's schoolhouse. The gift of prophecy is a gift of the spirit (D&C 46:22; Moroni 10:13; 1 Corinthians 12:10) and therefore is available equally to men and to women, based upon their personal worthiness and standing before God. Huldah is a testament that God is no respecter of persons when it comes to bestowing spiritual gifts upon those who diligently seek them. 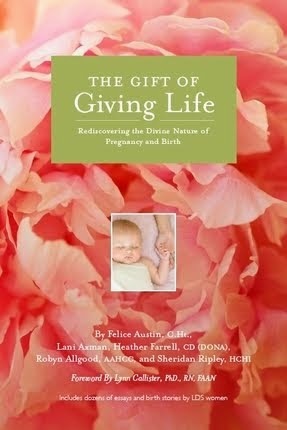 Not only does God bless women with the gift of prophecy, he expects them to cultivate it and to seek for it. The Apostle Peter declared on the Day of Pentecost: “And it shall come to pass in the last days, saith God, I will pour out of my Spirit upon all flesh: and your sons and your daughters shall prophesy, and your young men shall see visions, and your old men shall dream dreams: "And on my servants and on my handmaidens I will pour out in those days of my Spirit; and they shall prophesy.” (Acts 2:17–18 ,see also Joel 2:28–29). 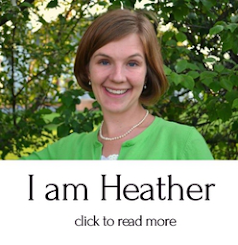 How can a woman have the gift of prophecy when she does not hold the priesthood? 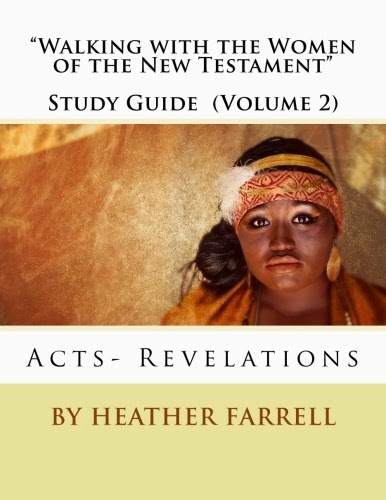 It is important to note that Huldah does not reveal anything, she interprets and clarifies what is already written and revealed. She is not acting as a seer and revelator, but she is teaching, edifying, warning, and bearing testimony of God's words. All women are called to be prophetesses, to witness of the divine origin of the scriptures and to bear testimony of the living Christ. Huldah was literate and educated in a time when women were not suppose to be educated. She was a wife, and probably a mother, who had obviously cultivated her mind and had sought after knowledge. 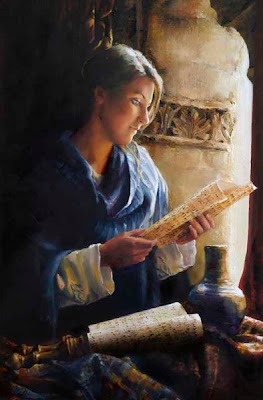 Her searching after knowledge and understanding, both spiritual and secular, placed her in a position where God could use her to help His people repent and come unto Him. Huldah is a great reminder that women too must seek after spiritual knowledge. Too often women are content to let others tell them what to think and to believe. Yet, God expects each of his daughters to study the scriptures and meditate upon their teachings. 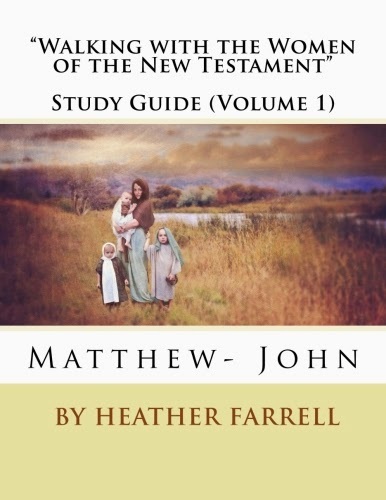 He expects each daughter to have her own testimony, one that is firmly founded upon the truths of the scriptures and from personal revelation.Elder Neal A. Maxwell said: "We need more women who are gospel scholars and more men who are Christians," (Robert L. Millet, Men of Valor, 2007). 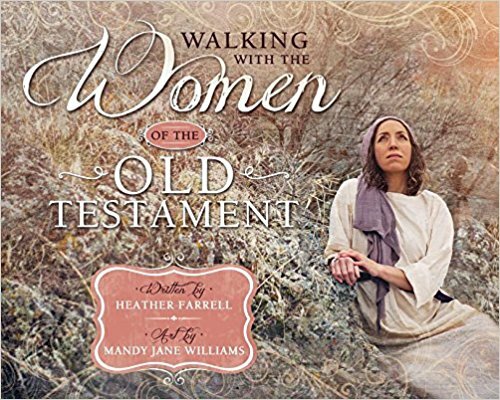 All women can be prophetesses if they listen to voice of the Lord and are not afraid to teach and bear testimony of God's words. Why would Josiah seek out Huldah instead of Jeremiah, Lehi or the other male prophets? How had she learned to write? Who took the time to teach her? A father? Brother? Mother? Did she teach her daughters? How can women of the church be better gospel scholars? I love the new blog! It is a wonderful idea. Huldah is an amazing example and I wish that a woman today could be thought of and proclaimed as a priestess and prophetess as she was. I think that should be true and I think it emphasizes our responsibility as women to learn our scriptures, history, literature, and every thing that will help us be great scholars. You know, in the past I've just looked at your list. But you have some great posts here. Wonderful! Thank you. 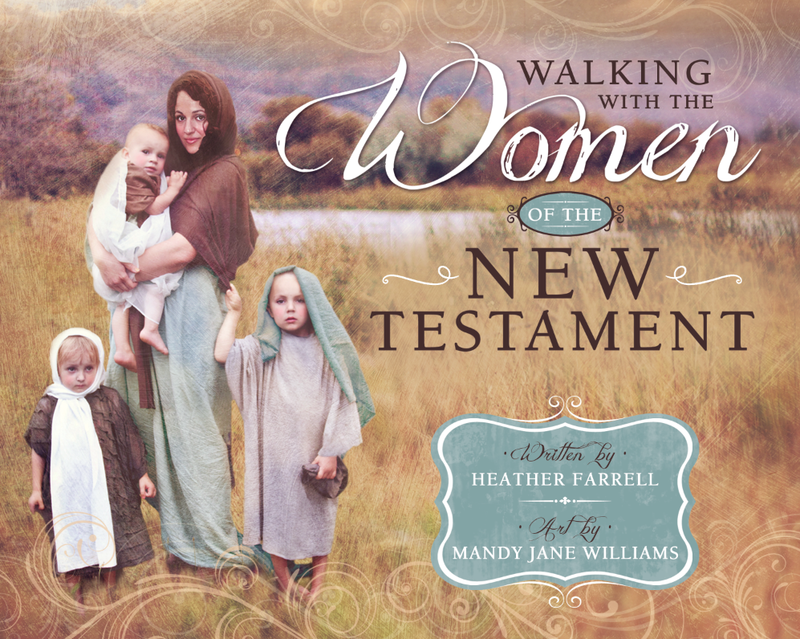 I will admit to being one of the women lamenting the lack of women in the scriptures. 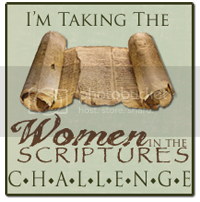 You've given me the encouragement and excitement I needed to start the women in the scriptures challenge!